You may not fully understand that the exterior of your home is taking a significant beating from the harsh elements and weather conditions every single day. Regardless of whether it’s sunny, snowing, raining or windy, the weather is having an impact on the paint and overall finish of your exterior. This is something which commonly causes grime as well as chip and dirt to accumulate. Throughout the year, you might notice that your pain begins to dull because of this. This is when you should consider calling us and take advantage of our professional pressure washing services. 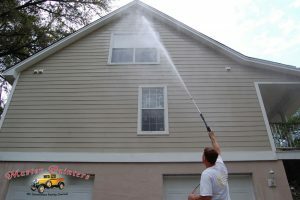 In case you are still wondering, here are just a few splendid advantages of pressure washing that you might want to take into account. In case you are wondering how to boost the price of your property before a sale, this is one of the best ways to do so without investing a considerable amount. Consumer Reports show that a proper pressure washing job and some siding and brick replacement could bring up the price of your property with as much as 5%. Talking of a substantial increase! As soon as the snow starts to melt and the spring is around the corner, homeowners begin to spend tremendous amount of time working on their landscapes as well as on their decorations. And, when it comes to it, the exterior of your home should be no exception to this activity. Having your stain or paint looking as if they were just laid down is going to improve the overall curb appeal of the entire property. It’s definitely something that will catch the attention of people passing by. This is something that you need to truly take into serious consideration. Properly scheduled pressure washing sessions are going to prevent the development of mildew and grime. These are well known pollutants which are capable of breaking down the exterior of your home, chipping down the pain and making it look dirty and unpleasant. A good washing job is going to ensure that these do not take place. Failing to do so is going to cause a potential health hazard. Dirt, mildew, grime and other bacteria can easily cause certain issues in people who inhabit the place. This is especially true if you or someone in your family suffers from asthma or any other respiratory condition. Taking care of this is absolutely imperative unless you want issues to develop. It’s also worth noting that our pressure washing services are comprehensive and versatile enough to be used on fencing, outdoor grills, garage doors, decks and patios, outdoor furniture, swimming pools and whatnot. We are a third-generation, family-run home restoration business with almost 60 years’ worth of professional experience. With this in mind, you can rely on us to do a perfectly good job. 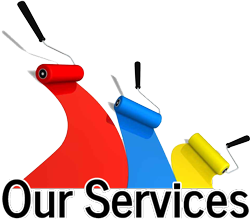 Give us a call and we will provide you with an actionable quote!